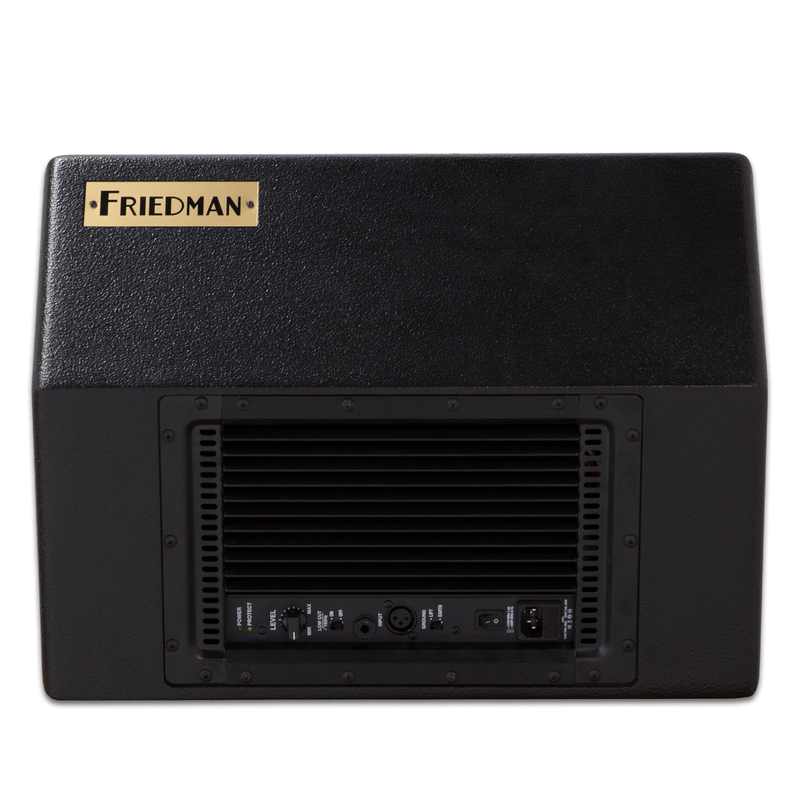 The Friedman ASM-10 active guitar monitor is your compact, onstage modeling solution. 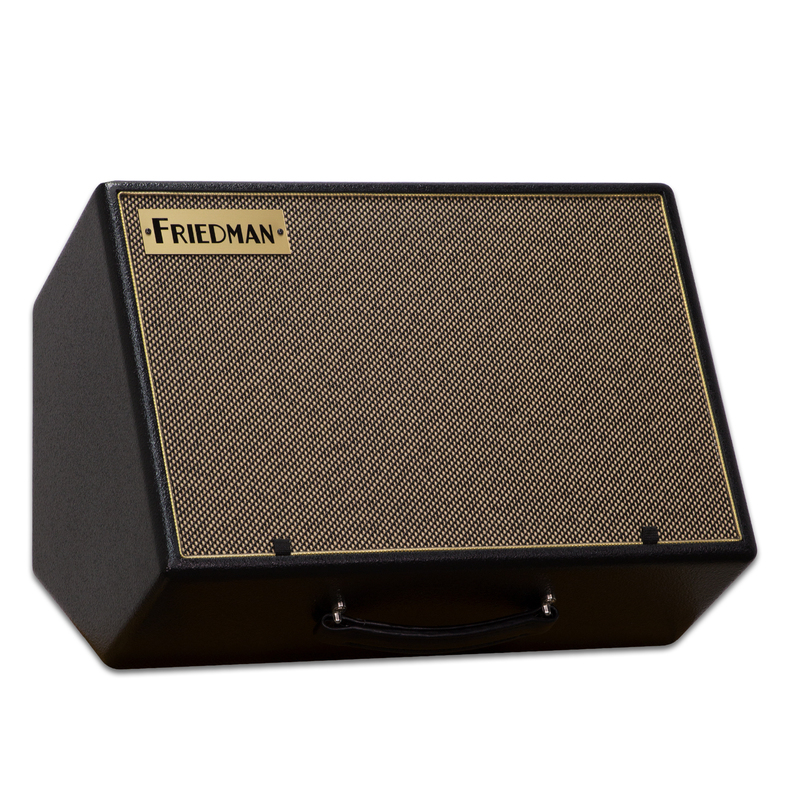 By combining a high-end, 1 x 10” speaker cabinet with 500 watts of clean, analog power, and putting it into a familiar and elegant design, the ASM-10 pushes the tone of your favorite modeler through the air while blending seamlessly with the rest of your rig. And thanks to the cabinet’s tilt-back floor monitor design, it easy to ensure you’re hearing every nuances of your playing as clearly as possible. 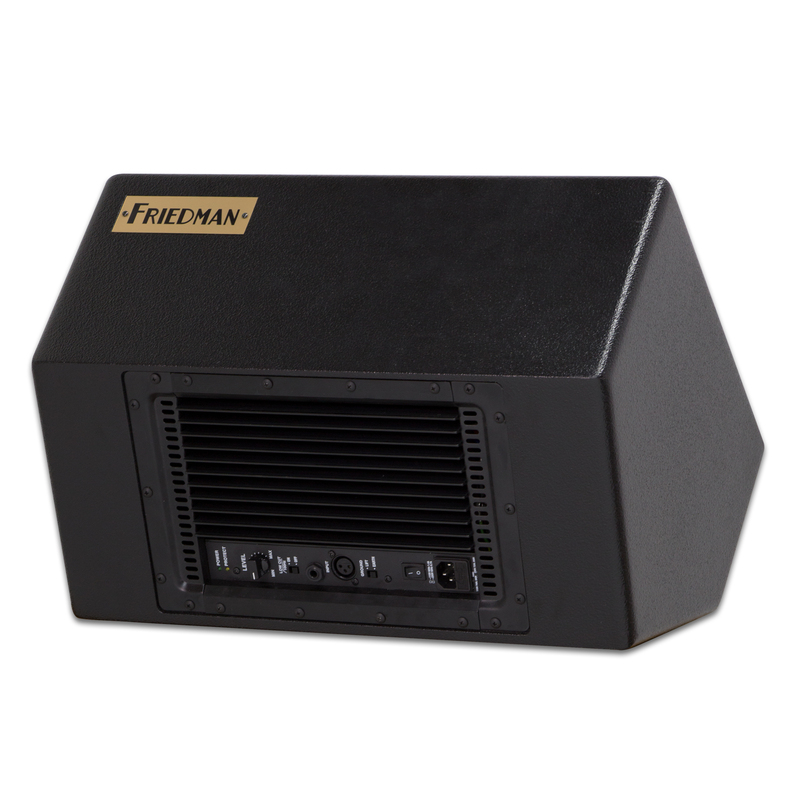 If you utilize amplifier modeling in your performances, but need the immediacy and feel of a real speaker pushing air, the Friedman ASM-10 2-way, 500-watt powered monitor is what you’ve been missing. 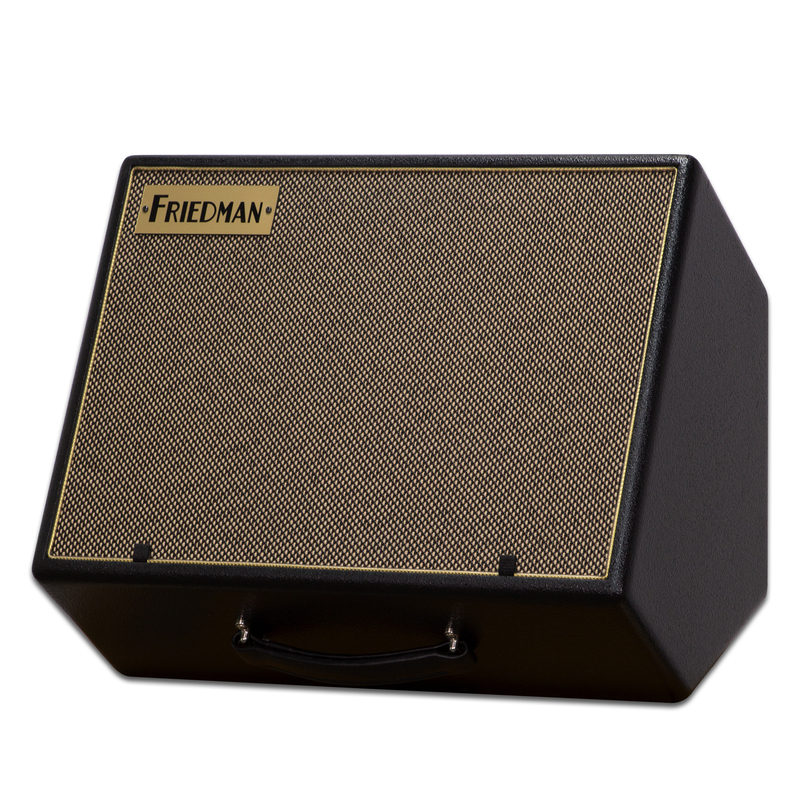 With the ASM-10, you’re able to position the cabinet anywhere you want onstage while still hearing your every note. Its tilt back design allows it to be placed comfortably in front of you, delivering your sound right to your ears. 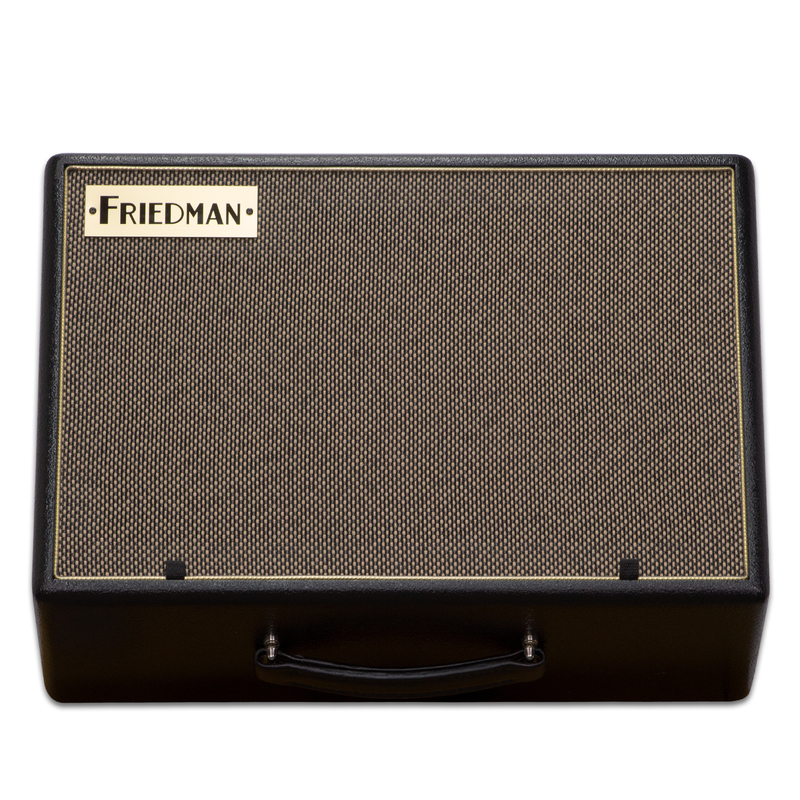 Or place it behind you in the traditional location for amplifiers, and its guitar-cabinet look blends right in with the rest of your backline. The heart of the ASM-10 active guitar monitor is its all-analog, bi-amped Class-G power section. Plenty of care was taken to choose the highest-quality materials for reliability and sonic clarity in designing this amplifier. As soon as you plug it in, your ears are greeted with warmth and detail that leave PA-style monitoring far behind. And at 500-watts, you’ll wield plenty of power for any performance. Around back, you’ll find all the straightforward control you need to tailor your ASM-10 to any situation. A simple level control and Low Cut switch keeps your frequencies and volume balanced. Parallel XLR and ¼” TRS connections allow either jack, when not being used as an input, to serve as a balanced line level output to another monitor.